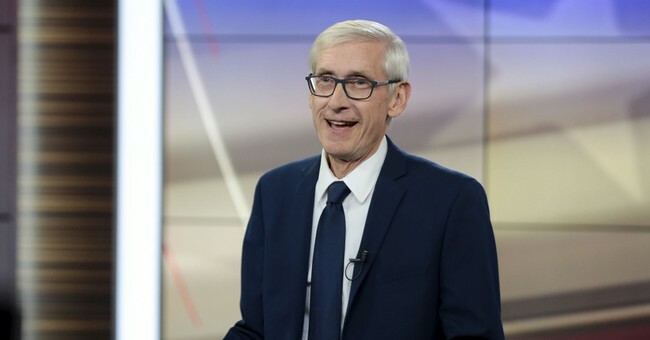 On Monday, Wisconsin Governor Tony Evers (D) issued Executive Order #13, ordering their 112 National Guardsmen to withdraw from the U.S.-Mexico border. "Keeping all of our borders safe and crime-free, and protecting immigrants who seek asylum at our borders, many of whom are women and children, is the responsibility of the U.S. Customs and Border Patrol," Evers said in a statement. "There is simply not ample evidence to support the president's contention that there exists a national security crisis at our southwestern border. Therefore, there is no justification for the ongoing presence of Wisconsin National Guard personnel at the border. I cannot support keeping our brave service men and women away from their families without a clear need or purpose that would actively benefit the people of Wisconsin or our nation,” he added. Evers follows the lead of the Democratic border state governors, who have also pulled their Guardsmen away from the border. California Governor Gavin Newsom (D) said President Donald Trump’s characterization of the “emergency” situation at the border a “manufactured crisis” and his Guardsmen “will not be part of this political theater.” He instead deployed them to help fight the state’s forest fires and counter-drug operations. “We will support our neighbors where the need for assistance is great, and we will offer a helping hand when we can to those vulnerable people who arrive at our border, but New Mexico will not take part in the president’s charade of border fear-mongering by misusing our diligent National Guard troops,” Governor Michelle Lujan Grisham (D) said when she pulled her troops away. “We will deploy our men and women in uniform only where there is a need, and where their presence can make a genuine difference in ensuring public safety and an easing of the humanitarian concerns at our southern border,” she added.